The PVC industry is committed to sustainable development of the PVC value chain and an efficient use and management of PVC products through their entire lifecycle. 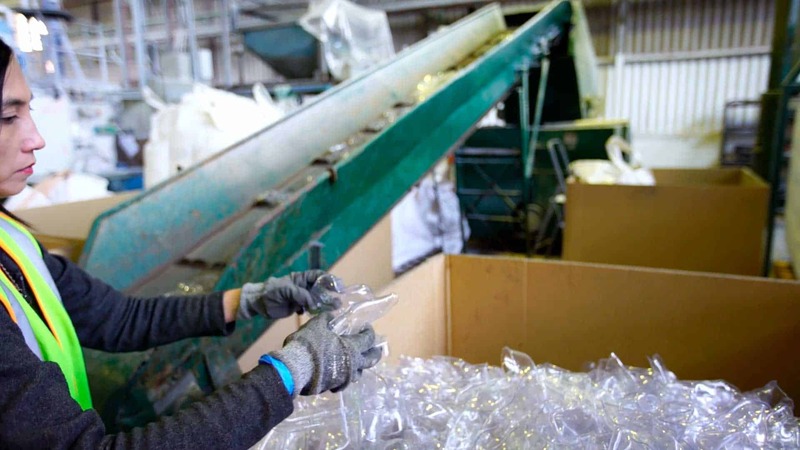 Enormous progress has been made in collecting, recycling and recovering PVC-based products to ensure that valuable raw materials are conserved in an economically suitable way, and other component PVC waste is managed appropriately. Collection and recycling of PVC is also happening In the healthcare sector. A growing number of hospitals throughout the world collect and recycle non-infectious PVC-based medical devices. The VinylPlus® platform puts this commitment into action. VinylPlus® is the ten-year Voluntary Commitment of the European PVC industry which builds upon the achievements of the Vinyl 2010 programme. It takes into account the next steps in tackling the sustainability challenges of PVC and also establishes a long-term framework for the on-going sustainable development of the PVC value chain. Across Europe, VinylPlus® manages, promotes and finances schemes on waste logistics, collection, recycling and new technologies. In 2017, 640,000 tonnes of post-consumer PVC waste were recycled. By 2020, VinylPlus® aims to recycle 800,000 tonnes of PVC per year. Read more about PVC and recycling at VinylPlus®' website. Technologies to turn recovered and sorted PVC waste back into new PVC material by physical processes. Processes where PVC is incinerated for thermal energy recovery. This is important where end-of-life products are unsuitable for recycling because of technical or cost reasons. Recycling PVC medical applications is a good idea. Medical grade PVC is of high quality and can easily be turned into new useful products. Also, hospitals save money by diverting waste from expensive treatment processes for clinical waste and at the same time contribute to circular economy, reduce carbon emissions and help save energy. It has been calculated that a 300 bed hospital could easily recycle around 2.5 tonnes of PVC medical devices each year. These advantages have led to implementation of recycling programmes for non-infectious PVC-based medical devices in several countries. In 2009, a pilot PVC recovery programme was initiated at Western Health Hospital in Victoria, Australia. 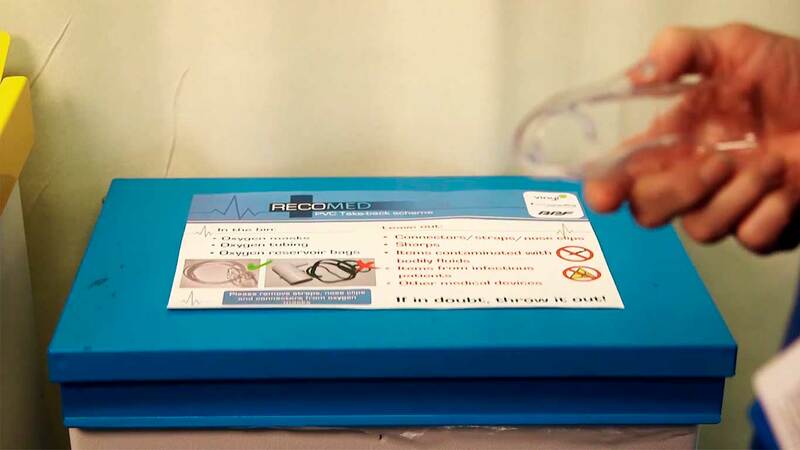 The programme — with participation from PVCMed Alliance member Vinyl Council of Australia — demonstrated that hospital staff can separate PVC medical products relatively easily. The recovered PVC can then be recycled and used as a raw material for new products such as playmats and industrial hose. After learning from Western Health, many Australian and also New Zealand hospitals have implemented similar programmes. Today, around 170 hospitals in Australia and New Zealand recycle non-infectious PVC-based IV bags, face masks and oxygen tubing. Every month, 20 tonnes of PVC waste is collected and recycled. The implementation of PVC recycling in hospitals is mainly driven by staff, who already recycle plastic at home and therefore find it a natural progression to do it at their workplace. Due to the success of the programme, PVC recycling is now part of the nursing training in Australia. Read more success stories. Watch the videos below to learn more about the programme. In the UK 14 National Health Service Trust (NHS) hospitals participate in the RecoMed take-back scheme for disposable non-infectious PVC medical devices. Hospitals that are part of RecoMed collect and recycle PVC oxygen masks, oxygen tubing and IV bags. After collection, the PVC waste is turned into tree ties for the horticultural industry. 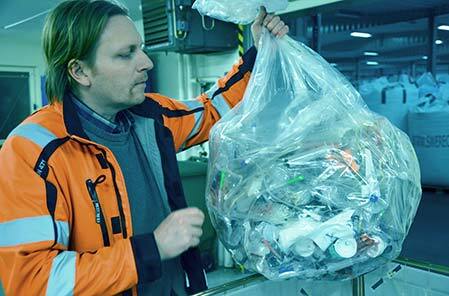 So far, the collected and recycled PVC in the UK equates more than 210,000 oxygen masks. The programme is funded by VinylPlus® and conducted by a partnership between Axion Consulting and the British Plastics Federation. The RecoMed scheme has won recognition from several organisations within the healthcare and waste management sectors. In 2015 RecoMed won the Barema & AAGBI Environmental Award. In 2017 the scheme won the National Recycling Award for waste prevention and the CIWM Sustainability and Resources Award for best recycling project. Watch the video below to learn more about the RecoMed scheme. Hospital waste management processes have been improved over the last decades to make incineration sustainable and efficient. In addition, recent experiences have shown that recycling of medical waste has the potential to be successfully implemented in healthcare settings like hospitals, therefore contributing to smart use of resources and improved cost-efficiency. Concerns have been raised about the potential emission of waste substances from PVC incineration. The production of waste substances depends on incineration conditions. In modern, well-run incinerators, these substances are appropriately managed on the basis of the strict procedures and standards set up under the EU legislation. 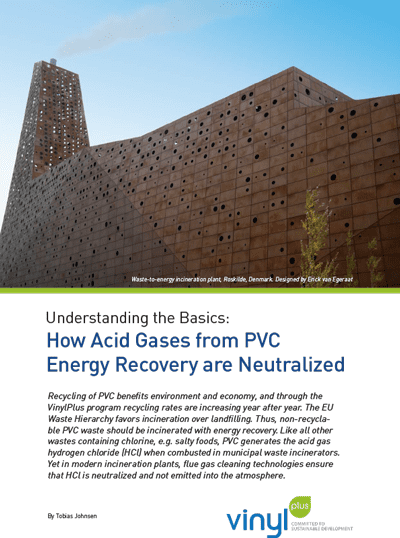 Want to learn more about incineration of PVC? 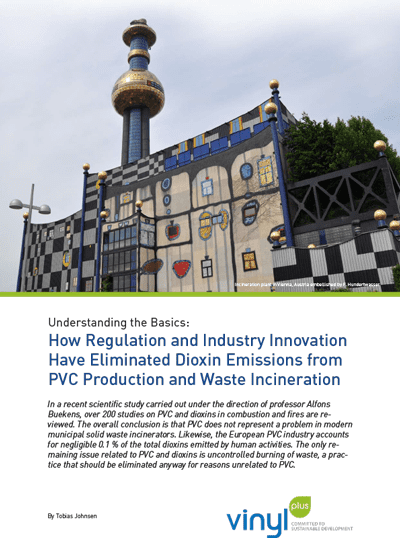 PVCMed Alliance affiliate VinylPlus® has published easy-to-read articles, based on the latest scientific research, on PVC waste incineration.